IT would be difficult for South Africa to recover the ground it had lost in platinum market share because of the high cost base of many of its remaining producers. That’s the view of Deutsche Bank equity analyst, Patrick Mann, who pointed out to delegates attending the Joburg Indaba Platinum Industry Seminar held in Johannesburg on April 10 that the conventional wisdom that South Africa accounted for 80% of global supply was no longer accurate. The growth of the platinum recycling sector now accounted for some 25% of platinum supply which means South Africa’s mines effectively comprised only 50% of global platinum supply. Mann was also negative on the prospects of the South African platinum producers recovering the ground they had lost because of their position at the high end of the cost curve; in particular, the deep-level mines operating around Rustenburg. “We are higher cost than Norilsk; we are higher cost than recycling. In that context it’s hard to see South Africa becoming a greater proportion of global supply,” he said. 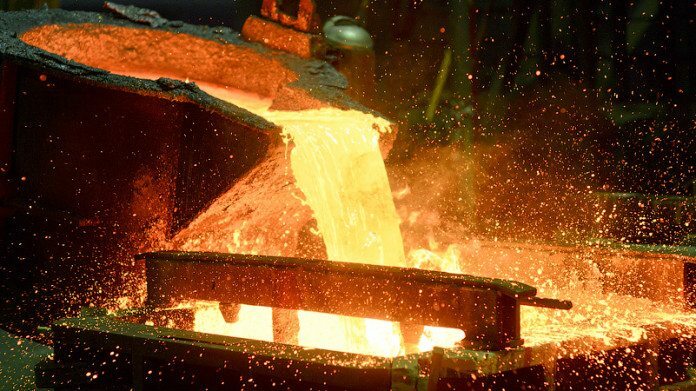 According to Stephen Forrest, chairman of UK consulting firm SFA Oxford, the South African producers had taken out 1.5 million ounces of annual platinum production capacity since the Lehman Brothers crisis in 2008. “That’s massive. The South Africans have also taken out 800,000 oz of associated palladium by-product production which is why the palladium price has been so strong given that palladium was already in a deficit market. “They have also taken out some 200,000 oz of rhodium in a market that is some 700,000 oz to 800,000 oz. This is significant”. In Forrest’s view there had been a “tailored response” by the South African producers to the market situation and he expected that to continue. Asked for his assessment, Mann replied that most of the mines around Rustenburg were not getting “… any sort of life extension growth capital” which meant that around a third – or about 1.5 million oz of annual South African production capacity – was in “harvest mode”. The platinum price currently is sitting around $920/oz which Forrest described as “… a mine closure inducement price at these exchange rates”. He added: “This price closes mines. It does not start mines. We are in mine closure inducement mode right now”. The funny thing is that Wesizwe platinum, RBP, Northam are building mines and increasing production. Besides harvesting and mining are synonomous, right? Hi Anonymous (again) – Harvesting is still supply, sure. But the point is to describe how the resources are being mined, and why i.e. market conditions. More pertinent is the lack of basic economic understanding that permeates the regulators. Capital needs returns and declining productivity, out of line cost increases, metal price volatility and a honeymoon rand (tell me what has the magic Cyril wand fixed? or will the collapse be more spectacular and rapid) are all contributing to killing this industry. Something has to give as closure is not an option!! There is of course the question of the futures market which allows for the supply, demand dynamic to be modified. This would allow a party to “flood” the market with artifical supply, which tends to drive the price down. The fact that the volume of trade in this, artifical market, dwarfs the physical supply volume, should raise eyebrows. A futures market in its basic form, is intended to provide a platform for the miners, to forward sell their produce and stabilise their cash projections. The antithesis of this is true today and applies to the PGM’s across the board. Distorted market pricing of any product, will leave an industry scratching its head and looking for someone to blame. Let us imagine a theoretic scenario wherein vehicle stock may be bought and sold on a futures platform. What would such a futures market do to the price of a VW Golf? Is anyone prepared to ask the real questions?